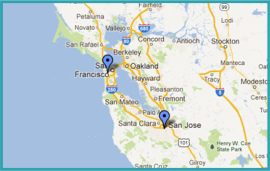 Elite Laser Lipo offers specialized treatments in San Francisco and San Jose. Slim down to your sexiest and healthiest self! i-Lipo is a laser treatment used at our clinics and has given so many of our clients great results they can be proud of. Treatment sessions are convenient, virtually painless and fast, running from 30 minutes to an hour. The best part is, i-Lipo Laser Fat Reduction Treatment has no down time. At Elite Laser Lipo, we know that you are active, busy and your schedule must be full of appointments so we don’t waste your time on the recovery bed. After the treatment, you can get back to work and get on with your life enjoying your new body. Our clinic offers you the chance to look fabulous, feel great and to get that slim, tight and nicely contoured shape you desire.